Hamish and Neil started the tournaments in Prague with an excellent series of results (see post here). In the middle rounds of the tournament both found life a bit tougher. He lost the first two games and had a very complicated draw in round 7, which Hamish has posted on the Bon Accord chess club facebook page. He now has 3.5/7 and in round 8 he has white against Russian junior Egor Chekletsov (1912). In this position white thought for over three quarters of an hour! After about fifteen minutes Neil suddenly realised that white is completely lost. 49. Qxh4 Qxf3+ (and not 49…Qxb5?? 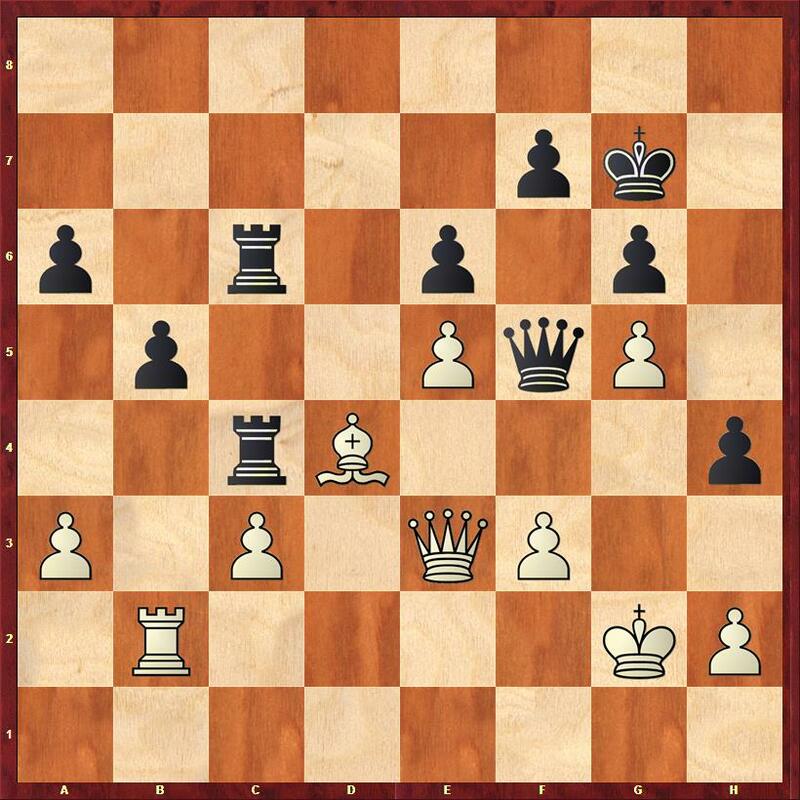 50.Qf6+ which allows white to give a perpetual check despite being a rook down) 50. Qg3 Qf1+ and now black can take the rook. The game continued 49. Rb2! (the only move that doesn’t lose on the spot) Rc4 50. Rd2 Qxc3 51. 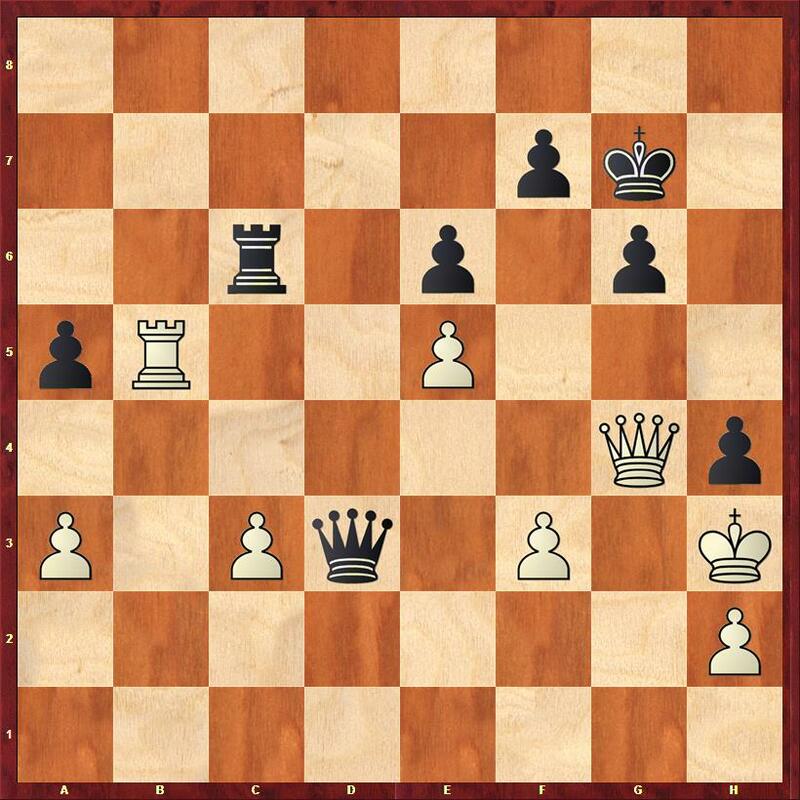 Qg2 Qxe5 and with two extra pawns and and an attack black won quite quickly. In round 7 he lost a complicated game against WFM Tanya Shevchenko which at one stage he was winning. He now 4.5/7 and white in round 8 against Jiri Svetly (1919) of the Czech republic.